Providing a safe work environment is the single most important aspect of our work. Thermal Solutions takes proactive measures by maintaining rigorous training programs for all employees. As safety is our number one focus, we ensure that each employee is trained according to OSHA requirements and company specifications. With this mindset, we provide a safe environment for our employees while delivering a quality product that will remain safe and function at a high level for years to come. 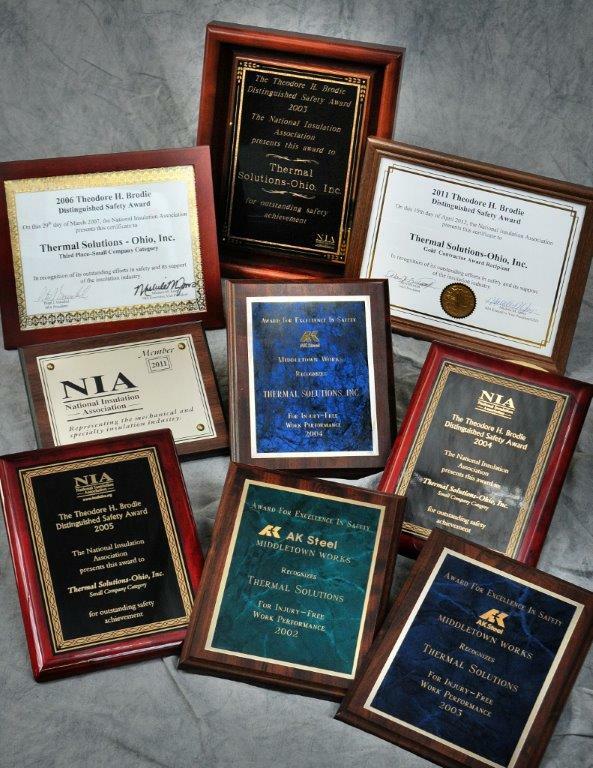 We demonstrate our commitment to safety with our nationally recognized awards.